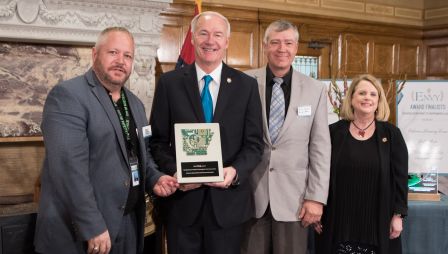 On April 24, 2018, the Arkansas Department of Environmental Quality announced the winners of the 2018 Environmental Awards at the State Capitol. 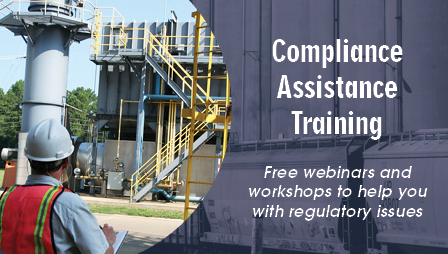 Learn how to submit and track permit applications and more. How-to videos show you how at the ePortal site. What's flowing down the drain? 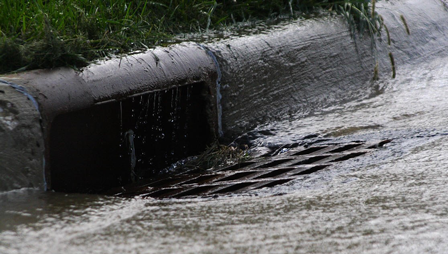 Stormwater permits include pollution plans that limit runoff, which better protects the water flowing from storm drains to streams and rivers. 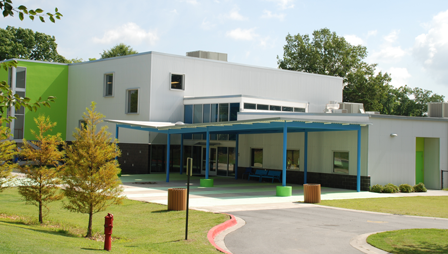 The Our House Children's Center is a completed Brownfield project that serves 150 children each day. ADEQ encourages the recycling of electronics because they contain toxic chemicals that could escape some landfills and contaminate groundwater. 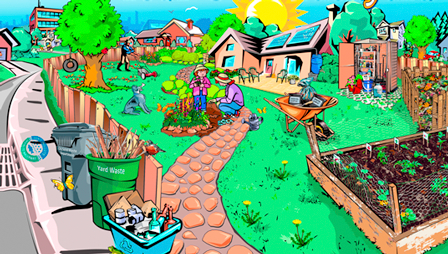 Environmental Protection Begins in Your Own Backyard! ADEQ’s Your Own Backyard fact sheet series shows how you can have a positive effect on the environment in Your Own Backyard. 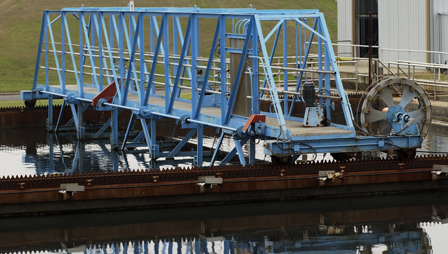 The Office of Water Quality issues licenses to and provides training and testing information for wastewater treatment plant operators. 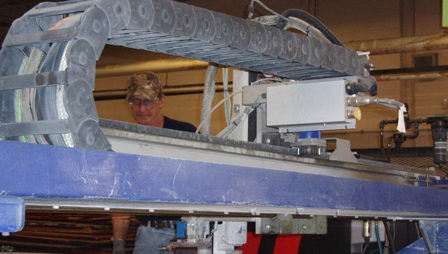 The Business Assistance office helps businesses and manufacturers better understand permitting and how to reduce or eliminate generated waste. New research shows diesel fuel has caused corrosion of storage tanks; owners and operators should do visual checks. 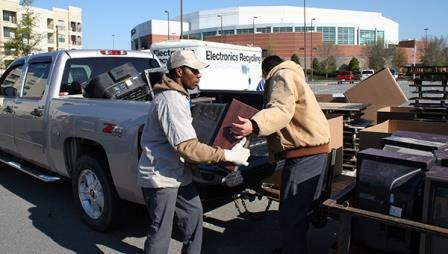 Regional Services will conduct free compliance assistance workshops about (1) air inspections, (2) open burning, (3) regulated wastes, including the definition of the Solid Waste Final Rule, financial assurance and fees, and common regulated storage tank violations, and (4) water permit literacy. 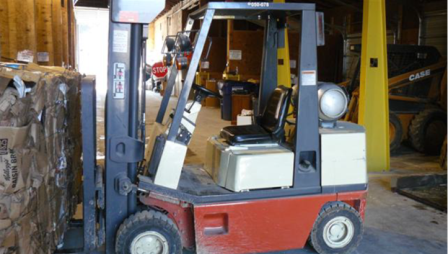 ADEQ has proposed a SIP revision to address transport obligations under Clean Air Act Section 110(a)(2)(D). ADEQ plans to finalize both the infrastructure and transport SIPs upon final adoption of the 2015 ozone NAAQS by APC&EC. The Beautiful Buffalo River Action Committee (BBRAC) is an Arkansas-led collaborative established by Governor Asa Hutchinson to protect and enhance the Buffalo River Watershed through partnership, research, and action. 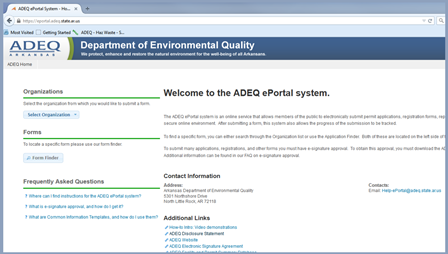 Find helpful instructions and information about ADEQ Environmental Self-Disclosure Incentive Policy. Find helpful instructions and information about using CDX/NetDMR accounts.